Media Temple is a web hosting provider designed for web designers, developers, and creative agencies. 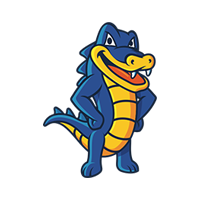 Its features include intrusion protection, file backup, CDN, malware detection, and more. In this article, we cover user reviews and pricing. Ready to try Media Temple? Contact their support team for more information. As of the date this article was written (11/13/18), there are not a lot of positive Media Temple reviews online. However, some users commended its excellent hosting service and customer support. There are not a lot of negative Media Temple reviews online. However, some users mentioned problems with its spam and malware protection. Some also found the subscription fees expensive, but still noted that they are satisfied with the quality of service. Media Temple has six web hosting subscription options: Shared Hosting ($20/month), Managed WordPress ($20/month), VPS Hosting ($30/month), Managed Hosting (custom priced), AWS Cloud Hosting (custom priced), and Dedicated Server (custom priced). The main differences between the plans include access to premium features such as a 99.99% uptime guarantee, priority support, and performance monitoring. *The annual plans are paid in full at the start of the billing cycle. Special introductory pricing is valid for the initial purchase term only. Ready to try out Media Temple? Contact their support team for more information. How does Media Temple’s Uptime Guarantee work? Media Temple offers a 99.99% Uptime Guarantee on VPS, Managed Hosting, and Dedicated Server. In the event that a downtime exceeds 20 minutes in a particular month, the user gets back 20% of the monthly hosting fee. Interested users may check Media Temple’s 20/20 Uptime Guarantee page for more details. Will users get a refund if they cancel their subscription? Yes. Users who cancel their hosting services within the first 30 days of purchase will receive a cash refund through their bank account, PayPal account, debit card, or credit card. The refund does not include the fees paid for setup, domain name registration, renewal, handling, and other additional charges. Not sure if Media Temple is the right fit for you? Read our reviews of all top web hosting providers or check out one of these three Media Temple competitors. Support is very helpful and can usually get you an answer quickly or point you in the right direction. The hosting is top notch but you pay a premium. There are a lot of versions of MediaTemple hosting and sometimes it is hard to search out an answer. I’d rather not talk to support if I don’t have to but most of the time you are forced to. Cost is high. I think the company is good and I would use them again. The cost is high but the dedicated hosting is very fast and support is good along with it. For an eccommerce site it is necessary. I have been a MT user for 10 years, its been a distinct pleasure to work with them. Their hosting support is second to none, you get the best, friendliest and most knowledgeable support. If on the rare occasion you have to actually to create a ticket and wait for a higher tier support person to fix the issue its normally within 24 hours and they check in with you to let you know how its going. The actual hosting is excellent, I have a basic Grid account, for $20/mo includes 1,000 emails and 100 websites and they actually run well. I also use their Dedicated Virutal servers for larger websites that have either specific configuration demands or high volume and they are excellent as well and super powerfull and flexible. In an industry where most hosting companies are either dumping email hosting completely or shuttling users to a secondary paid email service, Media Temple still includes email with your hosting plan. Not even Godaddy does that any more. People may initially be turned off by the slightly higher cost. You CAN go pay for a year for godaddy hosting and pay less than $150. but then you have to pay $3-5 per user per month for email (depending on promotions) and your forced to use Office360. With MT you get up to 1,000 emails for your Grid account or as many as you want for a DV (dedicated virtual server). Nothing at all since bought by GoDaddy. Everything is just degraded including but not limited to Support, Services. The company was good prior going in hands of another brand. Customer service is top-notch. I’ve yet to encounter a ticket I submit that is open for more than 12 hours, even on weekends and during the holidays. The staff is friendly and doesn’t make you feel less than human when they explain stuff to you. They take security very seriously and offer many solutions to help you keep your site secure and safe. Lastly, uptime is very important to them and when they claim over 99% reliability, they’re not kidding around. I’ve been a customer for around 8 years and don’t see myself leaving them anytime soon. I honestly cannot think of anything Media Temple doesn’t do well. Every issue or ticket I’ve submitted has been resolved with complete satisfaction. 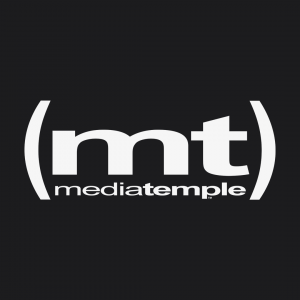 I only wish I had known about Media Temple a lot sooner than when I found them, as I was constantly changing web hosts due to not being completely satisfied. Media Temple is very simple and very secure. The support is world class and their services is more than 99% up and running. Offering variety of services and products. Make Cloudtech more flexible and the ability to rollover unused credits.